As I mentioned earlier, if you haven’t done the proper Career Assessment and Planning work, you won’t be effective at networking and using your contacts. Having said that, let’s take a look at the broader topic of relationships before we get into networking and using contacts. This is purely about gathering a list of contacts now who might be able to help you with your career or your job-hunting, at some future date. This is about cultivating relationships in a two way fashion because you value the person for themselves, not because you want their help. 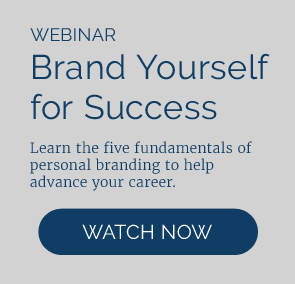 I talk about this as a component of building your personal brand. The purpose of this is to enlist family or friends to help you with your emotional, social and spiritual needs when the going gets rough, as it certainly can during a job-hunt. The purpose is to screen careers before you change to them. The purpose is not to find a job, although that sometimes happens. 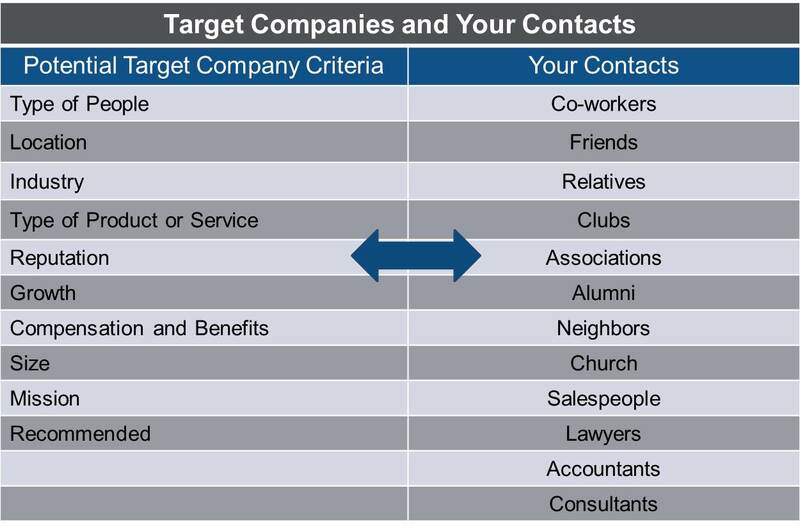 It takes a lot of contacts to land a new job. Here you are recruiting your army of people to be your eyes and ears, once you know exactly what you are looking for, and not before. Some experts consider “informational interviewing” to be networking. But it is not. Some consider “valuing your community” part of networking. I’m going to focus on the two items related to finding a job – networking and using contacts. My guidance is based on a combination of: 1) what Bolles says, 2) my experience helping people with career transition, 3) my personal career changing experiences and 4) my experience hiring people as an executive. While experts agree that “networking” is the most effective method, you will hear different definitions about what it is and how to do it. It’s not important to have a commonly agreed upon definition, but it is important to utilize relationships correctly. 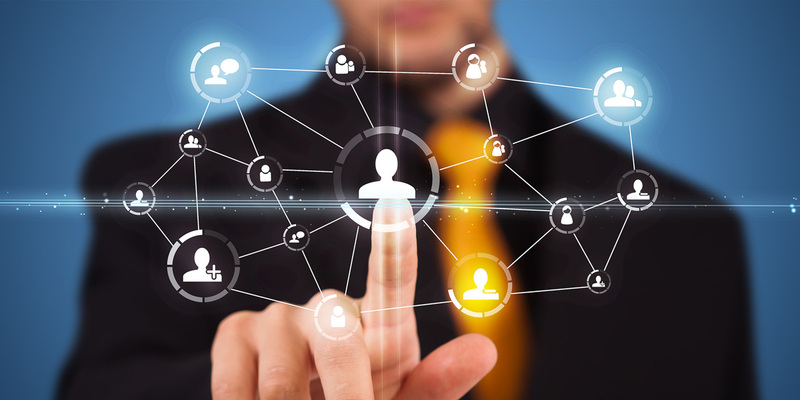 Networking is two-way sharing of information and contacts. Networking is NOT asking for a job or about job openings! The last point above is very important. I had a client whose position was eliminated. Her first step was to reach out to her contacts. Within a week, she called all of her closest business contacts, totaling more than 30 people. She told them she was newly unemployed and asked if they knew of any openings in her field. Nearly all were empathetic and willing to help. However, not a single person knew of an opening at that time. What was wrong with that approach? Most importantly, she skipped the career assessment steps. She had no target companies in mind and didn’t ask for new contacts who might be able to help, nor for any ideas to aid her transition. Second, it’s tough to get a call from a friend or good business associate and hear bad news. You feel bad for the person. If you were the contact and didn’t know of an opening, you might feel you’ve let them down. It put you on the spot and in a position to fail. Third, it was a dead end interaction. There was no follow on step other than the contact saying “Sure, I will keep my eyes and ears open for you. Good luck.” She shot her one bullet. Finally, it might send a message to the contact that you are only reaching out because you need help. You aren’t offering anything in return. This is especially true if you have been out of touch with the contact for some time prior to that. Since networking is about building relationships and connection points, it’s a two-way process. It’s not just about receiving. It’s also giving back. Whether you call it networking or “Valuing Your Community,” as Bolles does, it should start long before your job search. Too many people reach out to their network only when they need something from them. Attending a business meeting, conference or trade show and meeting new people. Talking with someone you don’t know at your place of business. Talking with a neighbor or friend and learning about a new contact that you might be interested in connecting with. Having lunch with a former co-worker, client or business contact to catch up. Connecting with someone on LinkedIn or online groups. Sending an email to a contact to check in on what they are doing or to let them know of something you are doing that might be of interest. Sending an interesting article or useful information piece to someone you know. Getting introduced to a new contact by someone in your network. Introducing someone you know to a contact of yours. Helping someone in your network or someone reaching out to you via one of your contacts. Do you think employers like to hire people via web postings, screening interviews and using recruiters? They certainly use those methods, but it’s not their preferred way. They’d much rather hire a person in a much different way. I’ll illustrate with a story. Betty was a dedicated stay at home Mom for our two kids for many years. She worked in volunteer roles, as President of the PTA and later as President of the high school band boosters. After our youngest child was close to leaving for college, she decided to begin thinking about her next gig, but wasn’t sure what it might be. She had an inkling about working at the local senior center in some way. Before she even began to get serious about any career assessment or job-search effort, by divine providence perhaps, she got a call from an old friend Kathy, who worked at the local senior living community. Kathy and Betty knew each other from their PTA work. They hadn’t talked in a while so spent the first part of the call catching up on their lives. Kathy asked Betty if she knew anything about a candidate that the senior center was considering hiring to replace Kathy as Activities Coordinator. Betty said, no she didn’t know the candidate. Kathy went on to ask Betty what she was doing these days and Betty shared that with the kids in college, she was considering doing some type of job outside the home. Kathy burst out, “You would be great for this job! Would you consider working here?” Betty was surprised and intrigued, and after more conversation was invited to come in for an interview the next day! After the interview, the hiring manager (Kathy’s boss) gave Betty a hug. The next day she got a job offer and was asked to start the following Monday. She accepted the position and went on to enjoy working there for over six years until she decided to retire. After accepting, a few interesting things happened. First, the hiring manager asked Betty to submit her resume so they could give it to HR for the record. (Not because it was needed to make a decision). Betty didn’t have one for the interview and hadn’t created one for over 15 years. During her first week on the job, she learned that over 50 candidates had submitted resumes. One of Betty’s first tasks was to send rejection letters to all the other candidates. Undoubtedly, there were many good ones, but none had the key ingredient that Betty had. She was a known person, with known positive qualities and capabilities. Betty didn’t know her hiring manager, but her relationship with Kathy and her strong recommendation made all the difference. This is how employers want to hire people. They want known people – someone who they or someone they know and trust has endorsed, based on first-hand experience. This reduces their risk and raises the likelihood of success. If you think this was just an anomaly or good luck, let me demonstrate with a broader sample size. Earlier in my career, I served as an executive on the Quality Leadership Team of First Consulting Group, an industry-leading health information technology consulting firm. We ran data on all our new hires. We found that those who came to us via referrals from our employees had significantly better performance and lower turnover than those hired via other methods, e.g. recruiters or ads. So we created a referral bonus program for our existing employees whereby they could earn up to several thousand dollars (depending on level of hired individual) for a successful referral. You might describe this hiring process as “reverse networking:” the employer seeking someone they know. Since this is employers’ preferred method of hiring, why don’t prospective job-hunters accommodate them and use this method more often? It’s because they don’t know it’s the best way, don’t know how to do it and it’s not easy! Read on to learn how to do it. How do you play into the employer’s preferred way to hire you? Reverse the process: decide where you want to work and approach those companies through your contacts. Don’t worry whether they have openings or not. I’ll illustrate with a personal story. Earlier in my career I was a Marketing Manager at a large IT company. I decided to leave the company and went out on my own as an independent consultant, specializing in health information networks. This was a hot, emerging area where healthcare provider organizations needed help. After about six months on my own, I decided I would like to work for a company with an established reputation, with more resources to back me, and where I could make a bigger impact. Based on my research and industry knowledge, I decided that there were two firms that matched up very well with what I was looking for: First Consulting Group and Superior Consultant. I wanted a smaller, growing, entrepreneurial firm, and a senior role where I could lead a consulting practice in health information networks. Having identified my targeted potential employers, I needed to figure out a way to meet with the person with the power to hire me. At the time, I was collaborating with another independent consultant and colleague named Shel. In a prior life, he worked with Steve, the current Chief Operating Officer of First Consulting Group. Shel reached out to Steve and was able to set up a dinner meeting for us. However, it wasn’t enough to just go meet with Steve. It was important to have a clear business proposition and statement of what value we could bring to Steve and his company. We researched the organization, understood their business very well, and laid out a presentation for him. The presentation articulated the business potential for First Consulting Group in building and growing a new practice focused on health information networks, and specifically how we would help make it happen. Steve was very excited about the potential and arranged a meeting with their founder and CEO, Jim. We met with Jim and he was equally excited. Steve and Jim then arranged interviews for us with several of the firm’s partners. In parallel, we reached out to Superior Consultant. In that case, we didn’t know anyone on the executive team. However, we approached their CEO about our idea and he referred us to his recruiter. After an interview with the recruiter, he arranged for a full day visit at the firm’s headquarters with the CEO and other key executives. This process resulted in offers from both firms. First Consulting initially hired me on a contract basis and later extended an employment offer. I accepted their offer and it was the best career decision I ever made. I began work there as a National Practice Director and later was promoted to VP Marketing. It was a tremendous place to work! I was very fortunate to approach two organizations and get two offers. They had no openings for what I wanted, but saw the business value and created a position. Realistically, I believe you should expect that it will take approaching at least ten or maybe more, to land one offer doing it this way. This is selling and selling is a numbers game. The diagram below illustrates the matching process. The first step is to identify your target employers. How do you do that? Type of people they employ – they are known to or highly likely to hire people with my skills and desired position. I want to get a financial analyst position. Location – within a 30 minute drive from my home. Industry – I have strong experience in financial services. Type of product or service – I want a firm that does personal financial planning and investment analysis. Reputation – I want to work for a firm where the employees are happy, the management is positive, energetic and promotes a good culture. Growth – the company must be growing and profitable. Salaries and benefits – the company has a reputation for paying well with good benefits. Size – I like smaller companies with less than 100 employees. Mission – I like what they do; the type of work is meaningful and consistent with my personal mission statement. Recommended – a friend, coworker or someone I respect recommends them. How do you come up with specific company names? Provide your specific criteria above so they can help you! Email, meet with or call your contacts with the question: I am considering opportunities with the following characteristics…what companies do you know of that might match this? Local business web sites, e.g., if you want a job in Chicago, check Crain’s Chicago Business listings. Google search using keywords related to your criteria above. Your college alumni web site. Recruiters in your field of interest. Your industry or trade association web site. Publications from your field where companies are mentioned. Drive by! While you drive, take note of any companies that you might have noticed or are curious about. Attend job fairs. Get ideas for companies hiring and also ask who their competitors are for additional targets. This is the really hard part. I was fortunate to get in the door with First Consulting Group and Superior Consultant. These were smaller, entrepreneurial firms, with creative, open-minded leaders. Smaller firms have less bureaucracy and fewer layers of process to navigate. That, combined with the fact that the majority of job-creation these days comes from small business, ought to make any job-changer think about favoring small employers over large ones. In today’s job market this isn’t far from truth. There are usually dozens, if not hundreds of people wanting to talk to someone who is hiring. There are tough screening processes. And if you are going after a busy executive who has the power to hire you, they have all kinds of people, including their own direct reports, trying to get on their full calendars. Ask your contacts. This is the best way. You want to get in the door via a referral from some you know who also knows the hiring person. If your contacts don’t know, then ask your contacts if they know of someone who might know. Then ask that person. Use LinkedIn to find connections between your contacts and the person who has the power to hire you. If those methods fail, consider using the website of the target company or even calling the company and asking who is in charge of the department/function that you think has the power to hire you (but not HR!). Then, only after you are armed with knowledge about them, their needs, and a solid idea of your value proposition for them, it’s time to approach the person who has the power to hire you. Your likelihood of getting in the door is highest with method 1, followed by 2, then 3, then 4. Method 4 is a long shot because you are essentially making a cold call on the hiring person. With methods 1 and 2, ask your contact if they would be comfortable introducing you, and if your contact is very close, getting you a meeting with the hiring authority, even if they don’t have a known opening. In the latter case, you can turn the meeting into a networking meeting or information interview. As I’ve said before, it’s important to recognize that it’s a numbers game. It’s sales. The best hitters in baseball hit about .300, meaning they fail 70% of the time. The same is true with using your contacts. You will fail more than you succeed. You can’t try it two or three times and if you fail conclude it doesn’t work. Stick with it and keep the faith! Remember the more rejections you get, the closer you are to a job offer! This is only an overview of the process. You can learn more by picking up a copy of What Color is Your Parachute, working with a career consultant, and reading the many other sources on the web.